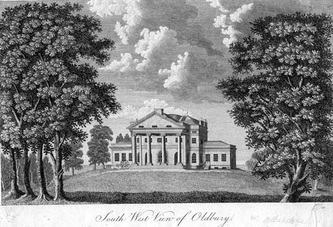 The small mansion was in the fashionable Palladian style, with four pillars supporting a high roof portico. Good roads were laid to reach it. Most of the old buildings were demolished, and new staff cottages, stables and farm buildings built, but the remains of the old chapel were left in the grounds. 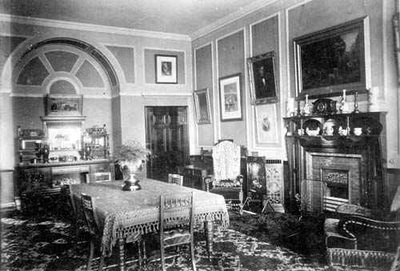 The main rooms were the Entrance Hall and Library, Dining Parlour, Drawing Room and Breakfast Parlour, on the first floor a Circular Room and all the main Bedrooms - the Red Room, the India Room, the Striped Room and the Master's Room, each with adjoining Dressing Rooms. Counting also a sick room, nursery wing, servants quarters, kitchens, dairy, greenhouse, etc., the total number of rooms in the house including storerooms and cellars was 48. Around the courtyard at the rear was an extensive range of stables, coach houses, kennels, and a blacksmith shop. In the gardens there was a range of sheds and buildings including a hot house. Whether the house was complete or in the process of building when he married about 1774 remains to be confirmed, but the Okeovers were in residence when Benjamin Bartlett was collecting information for his history of the district between 1775 and 1780. When Rowland died on the 3rd January 1793, leaving assets worth almost ten thousand pounds, his only son, by his second wife, Haughton Ffarmer Okeover, then aged seventeen, became owner of the estate. Within two years a distant relative died and became Lord of the Manor of the family's original home - Okeover in Staffordshire - and head of the family. 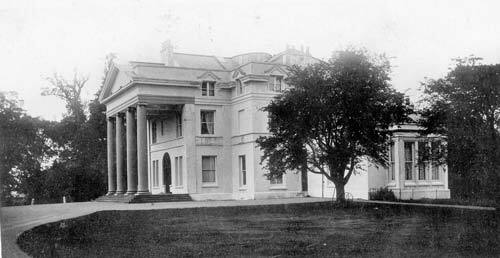 He immediately moved to Okeover, and in 1799 leased the Hall, furnished, to William Breton. The rent was £100.0.0d for the house per year, £170.0.0d for the land, and £10.0.0d per acre extra for any meadow ploughed up or sown with flax, hemp or woad. Breton soon gained a reputation as the hard drinking, fox hunting squire of Oldbury, and early in the 19th century a long satirical poem was written telling of his exploits in the beer houses and inns of Atherstone, especially the Red Lion, at race meetings, and of a private horse race along the Watling Street. 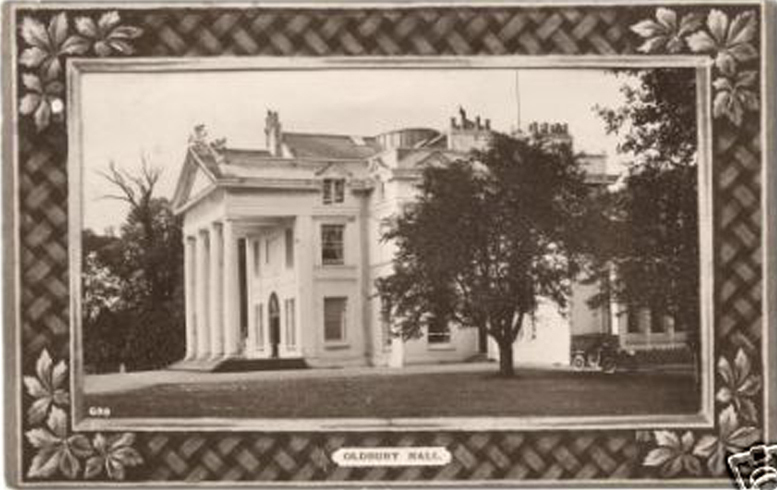 A succession of tenants at the Hall followed, and by the nineteenth century one Squire Ludford was in residence. However he moved away as soon as the local manganese mining ripped into his orchard and came up to the walls of his home. The house was then divided into two dwellings and the farming land leased. 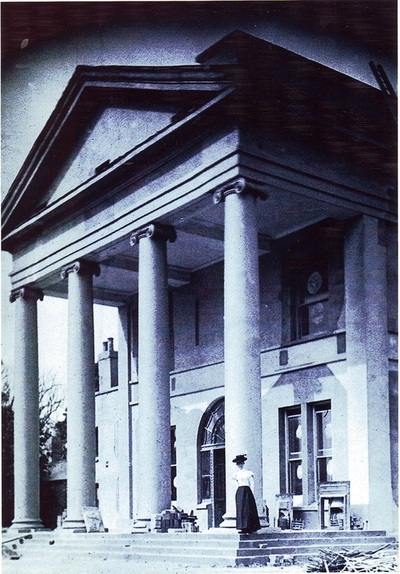 The Okeovers finally sold the estate in 1869. 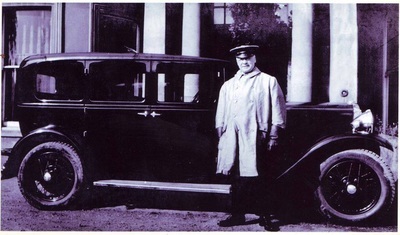 Eli Green, a Coventry businessman bought it for £25,000.0.0d. But the Hall reverted to being a rentable house when his family built a new house of Purley Chase Lane. 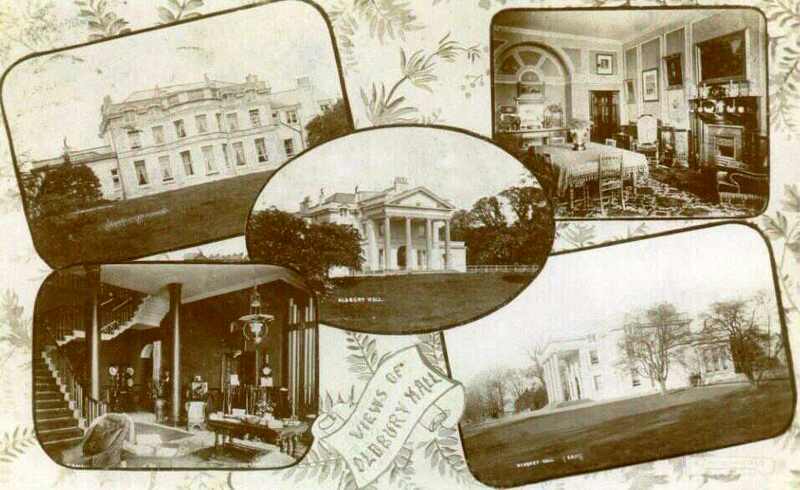 In 1902 Oldbury Hall, with about 52 acres of surrounding land, was sold to Mr Archibald Hardie-Jackson. Very soon after, the Ansley Coal and Iron Company purchased the farm and fields on the opposite side of Oldbury Lane. 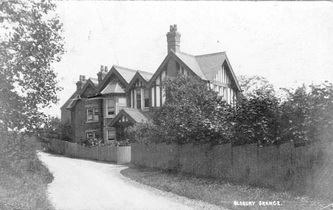 The old farm buildings of Wolvey House were demolished, and Oldbury Grange built for Mr Joseph Phillips, son of Mr Garside Philips, the first manager of the Ansley Colliery. 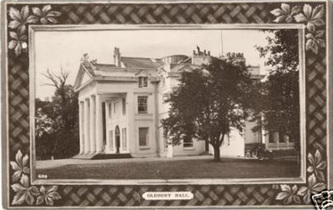 At the beginning of World War II the Company had also bought the Oldbury Hall estate and the house had been empty for some years. 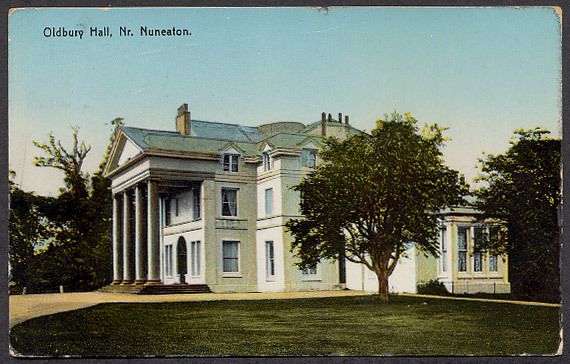 It was commandeered by the Army and the men of the Royal Staffordshire Regiment were the first to make use of the house and the Nissen huts which had been erected in the grounds. On the night of June 23rd 1942 the Hall was badly damaged by fire caused by incendiary devices dropped by a stray enemy bomber after it had dropped its bombs across the colliery banks. Only a section of the south wing remained in usable condition, and was the officers' and administrative accommodation when, later in the war, it was occupied by American troops. In 1949/50, because of vandalism and pilfering of lead and other metals, the building was demolished. There is one strange fact to add to the stories of ghosts and hauntings and the legends of secret tunnels and buried treasure which inevitably cling to any site of great antiquity. While removing the pillars which supported the portico, one crashed through the front steps into a small, hitherto unknown, chapel. The rom was some 20ft by 10ft and had three pews on each side, but there was no alter. Later, when removing the panelling in one of the undamaged rooms on the ground floor, a door and passage leading to the chapel was discovered, which had obviously not been used for many years. Ignoring the romantic suppositions which have arisen, the historical possibility could be that a tenant concerted the major wine cellar (which would probably have had access to the library or master's business room as well as to the butler or steward's quarters) into a chapel for daily household morning and evening prayers. The empty altar section could be explained by the use of a kneeling desk or a table with chairs ranged by it for members of the family. This custom of daily prayers in a large household was almost obligatory during the early Victorian era, so perhaps the conversion was made by a Lady Manners who appears to have leased the Hall for more than ten years in the mid nineteenth century. 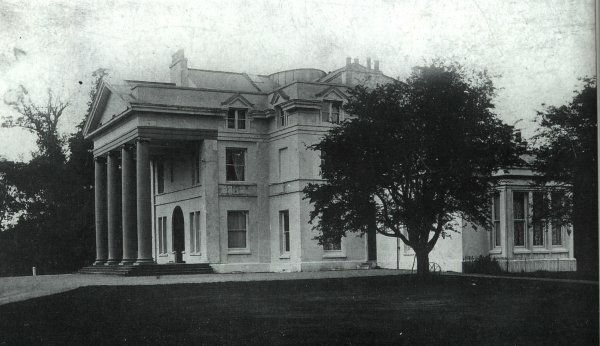 With the Hall demolished, and the site radically altered by a water storage reservoir, the only reminders of this once-flourishing country estate are the staff cottages of the Hall, and two blocks of field patterning which have escaped the changes caused by open-cast coal mining and quarrying. Historical text is taken from "Heardred's Hill - A History of Hartshill and Olbury" (c) 1982 by Joan Allen.